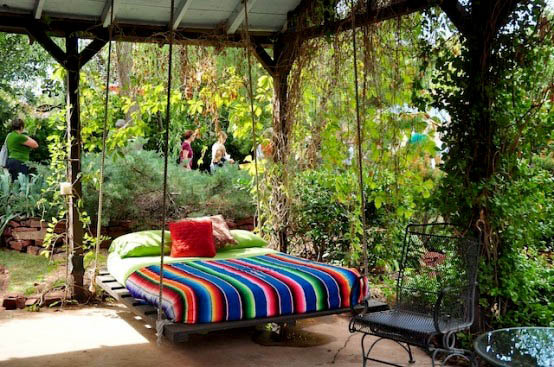 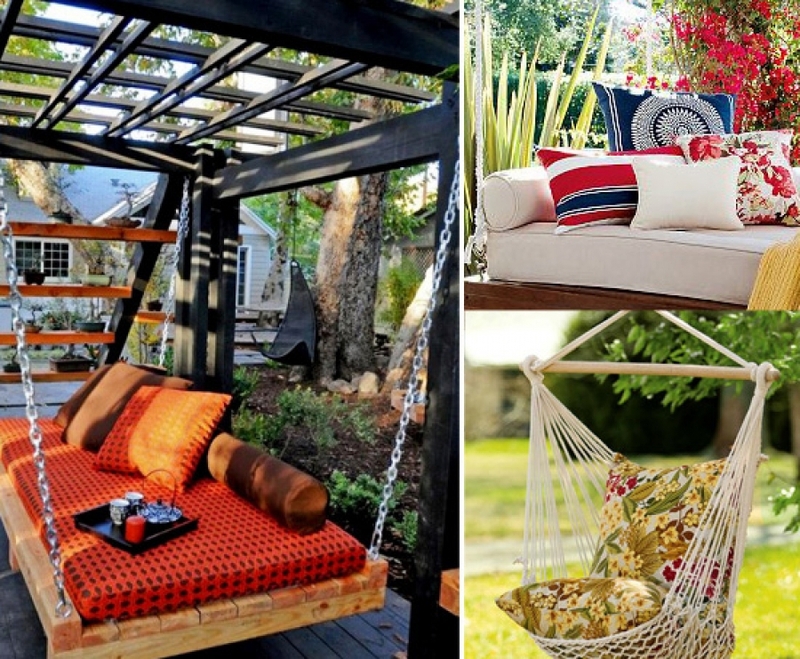 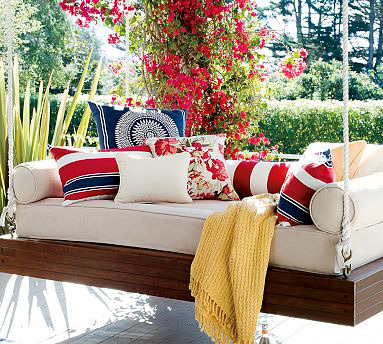 We present to you some great ideas for swing in the garden or on the patio, which you can make by yourself. 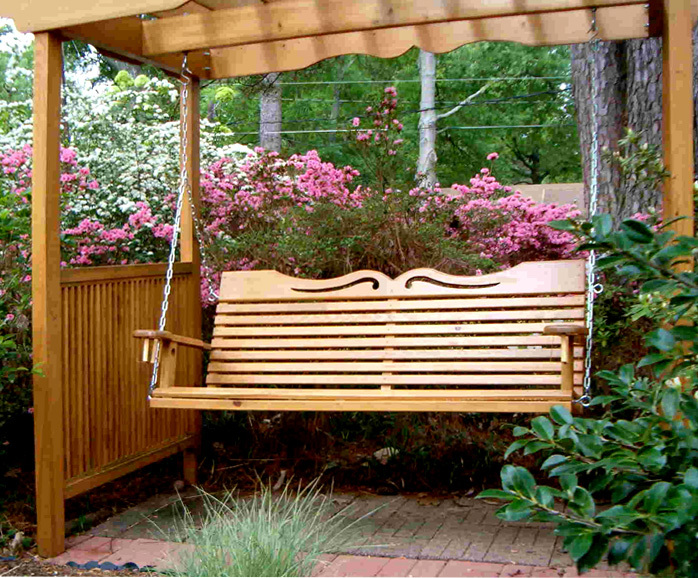 Easily and without any major effort, a swing can be made by a wooden board hanging on a rope. You will also need foam and cushions for greater comfort. 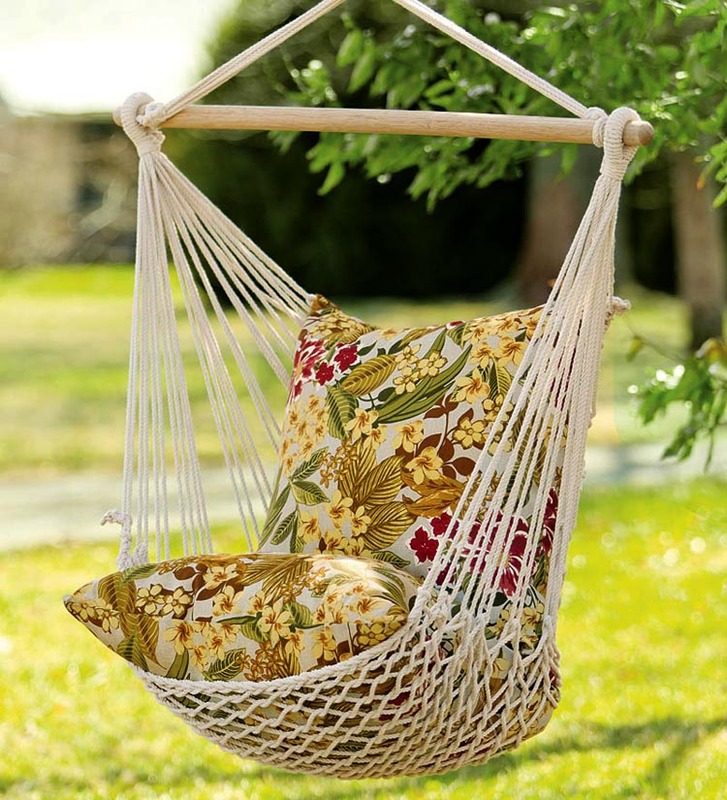 Another easy idea is to design a cradle on the principle of a fabric hammock with rope and two pillows. 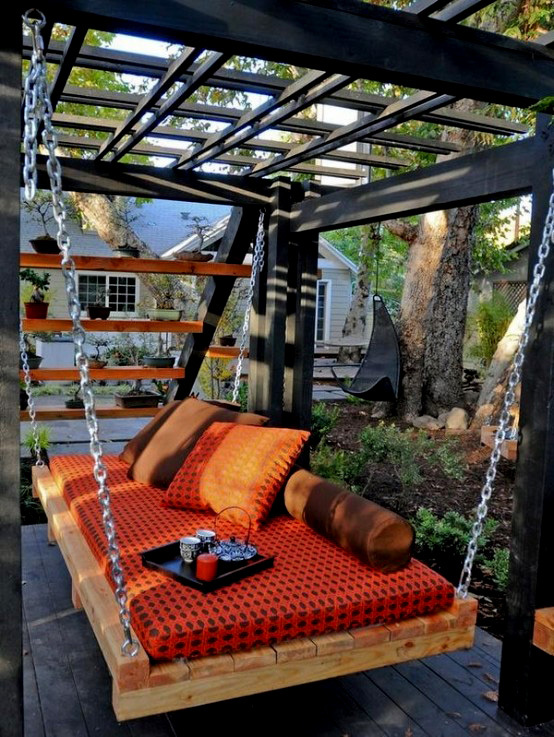 For those of you with more skills - wooden frame of slats hanging on chains or metal swing made of tight rebar. 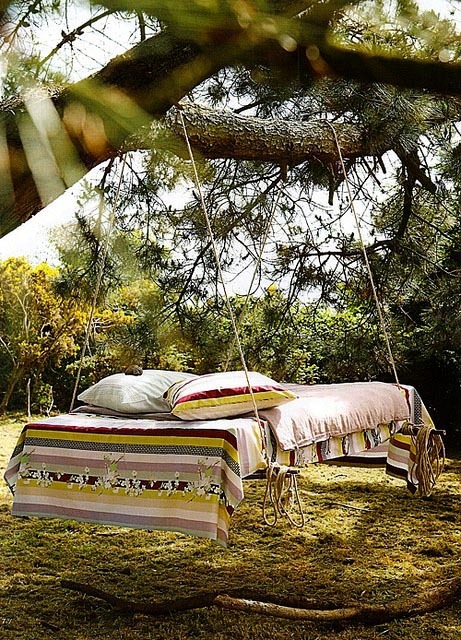 Those who have the imagination and fantasy can use parts of the tree in their natural form and get surprising artistic results.